FAQs | Madison County Automobile Accident Lawyer | Mark A. Jackson, P.C. 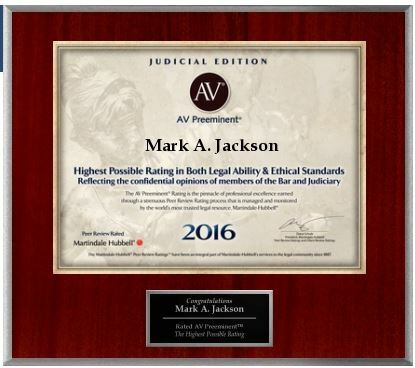 Based in Huntsville, Alabama, Mark A. Jackson, P.C. represents plaintiffs in personal injury claims involving car, truck, and motorcycle accidents. Additionally, Mr. Jackson has extensive experience handling claims involving uninsured and under insured motorists. In the emotional and potentially stressful time following an accident, it is empowering to be aware of the legal possibilities available to you. Therefore, we have compiled this page of frequently asked questions to provide some basic, but important, information. If you or a loved one has been involved in an accident, please call Mark A. Jackson, P.C. today, for a free consultation. We handle cases on a contingency fee basis, meaning you do not pay a fee until we collect compensation on your behalf. What should I do after I have been in a motor vehicle accident? First, try to write down everything that you can remember about the accident, including your exact location, where you were going, any people with you in the vehicle, the weather outside, and the time of day. Record as many details as possible even if they do not seem immediately important. Also, describe any people who may have seen the accident. They may be witnesses in your case. In the days following the accident, keep a diary of your physical and emotional state, such as instances of pain, anxiety, and sleep loss. In addition, record any doctor visits or time missed from work as a result of the accident. Do I need a lawyer if I was hurt in an accident? If you were injured in a car crash or another type of motor vehicle accident, seek advice from an experienced personal injury lawyer. It is very important to obtain legal advice as early as possible in order to protect your rights and preserve evidence in your case. Although you may be offered a settlement by the other driver’s insurance company, these offers are often much less than you need and deserve to cover your damages. A personal injury attorney can help you receive fair compensation for your injuries. What if the person who hit me was uninsured or underinsured? If the other driver was uninsured, your insurance company may require a signed statement from the uninsured driver establishing that he or she does not have insurance. You may then make a claim with your own insurance company for your damages. If the other driver was underinsured and cannot fully compensate you for your damages, you may still make a claim for the amount that the other driver’s policy can cover, and then make a claim with your own insurance company for the balance. Unfortunately, an accident with an uninsured or underinsured driver can put you at odds with your own insurance company. Therefore, such accidents require the involvement of an experienced personal injury attorney so that you may receive the compensation to which you are entitled. If I was in an accident, will my insurance company cover all of my medical expenses? In many accidents, your vehicle insurance will pay your medical bills in whole or in part. This will depend on your insurance policy and the extent of your coverage. If your accident is clearly covered by your car insurance policy and the claim is simple, your insurer should cover your medical bills up to your policy limit. For more complex accident claims, insurance adjusters will first investigate claims and either issue a settlement offer or a denial to you. An insurer’s settlement offer may cover all or only some of your bills, and may be low at first because adjusters often want to minimize damages that the company must pay out. In order to ensure that your medical bills are covered, you must get a medical authorization from your insurer. If your claim is denied, it may be due to limits in your policy. It is important to carefully review your policy to make sure your claim has not been incorrectly denied. If you feel that your accident claim was unfairly denied by your insurer, or that the insurance company’s settlement offer was too low, do not hesitate to contact our offices; with our experience, we are able to level the playing field with insurance companies, helping our clients to receive maximum compensation under their insurance policies.